The Old Truman Brewery is delighted to announce the debut solo exhibition of London-based sculptor, Ahuva Zeloof. Featuring over 40 sculptures of faces and figures produced over the past year, Ahuva’s work explores her relationship with the human body, its limitations and expression. Working predominantly in stone, or wax and wire, Ahuva creates pieces that are characterised by the sensuality of the female form. Born in Iraq and having grown up in Israel, the distinctive geographical profile of the Middle East played a large role in forming Ahuva’s practice. Ahuva’s family business, specifically the artistic hub of the Old Truman Brewery formed in 1995, is largely responsible for the artistic regeneration of East London. 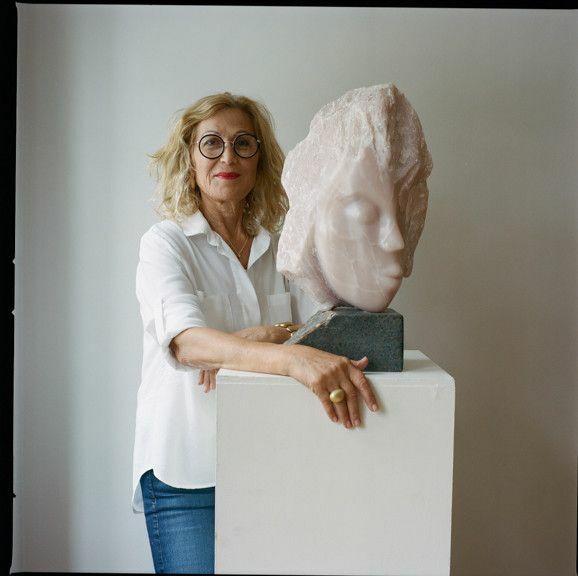 Having played an active role in its growth, Ahuva started to explore her interest in art by taking courses in sculpture, ultimately sparking her private artistic practice. Ahuva has previously exhibited in ‘Spirit of Womanhood’, 2014, a one-off exhibition supported by Tracey Emin at the Oxo Tower.